We’re excited to welcome Hug In A Mug Coffee Company in Valdosta, Georgia to the group of independent coffee shops, cafés and bakeries Crimson Cup supports in 37 states. The shop at 4165 Bemiss Road, Suite O, is one of at least 18 new independent coffee shops scheduled to open in 2018 through our 7 Steps to Success coffee shop franchise alternative program. 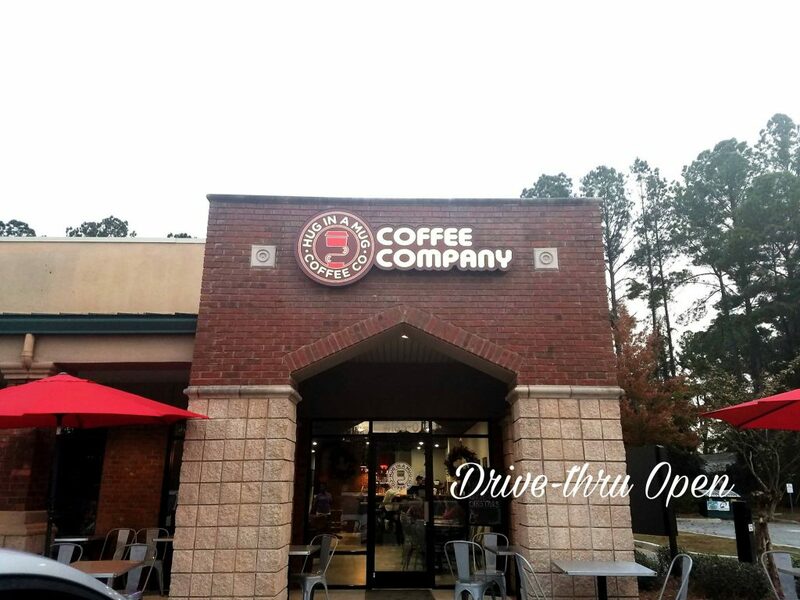 Owner Mike Scott, Managers Linda Harrington and Hope Smithwick and their team learned how to open a coffee shop through our 7 Steps to Success program. Based on the book Seven Steps to Success in the Specialty Coffee Industry by Crimson Cup Founder and President Greg Ubert, the 7 Steps program has helped hundreds of independent coffee shops open and stay and business. Company statistics show that over 80 percent of businesses that complete the program remain inoperation for at least five years. Located on a busy street with lots of other retail and service businesses, Hug In A Mug Coffee Company serves a full menu of hot, iced and frozen espresso drinks – including mochas, lattes and cappuccinos – as well as iced coffee and tea, cold-brewed coffee, hot chocolate, fruit smoothies and other custom drinks. Bagels, breakfast sandwiches, pastries and desserts round out the menu. The Hug In A Mug Brew Bar entices coffee lovers to slow down and enjoy a hand-poured coffee using Hario v60 or Chemex brewing systems. “This is truly the experience for the coffee connoisseur who may have a more ‘discerning’ palate,” Mike said. The coffee, roasted by Crimson Cup, has been a big hit with Valdosta coffee drinkers. “The word we often hear is smooth as opposed to bitter. Hug In A Mug Mocha is obviously the most popular.” This drink melds white chocolate with caramel and espresso for a uniquely smooth taste. Ubert emphasized that Crimson Cup supports independent coffee businesses like Hug In A Mug Coffee Company from concept through success. When asked for advice for aspiring coffee shop owners, Mike said, “Go with Crimson Cup.” He also noted the importance of having enough startup capital and funds. “It could take some time to get your name out. We look forward to a long and prosperous relationship with Mike and the Hug in a Mug team. To keep up with their progress, follow the Hug in a Mug Coffee Company Facebook page. Glad to see a Quality coffeehouse in Valdosta. As a native of Winnersville (VHS grad – ‘71 / Trombone in band / “My home town!”) it warms my heart to know they now have Crimson Cup coffee products available to them. Best wishes for years of success in a rewarding business with THE BEST choice for product and training partnership. We just completed 14 years with The Cup and have never regretted our decision. I’ll look for great things from South GA!